An HVAC team from M&M Cellar Systems recently repaired a leaking wine cellar refrigeration system in Orange County, California. 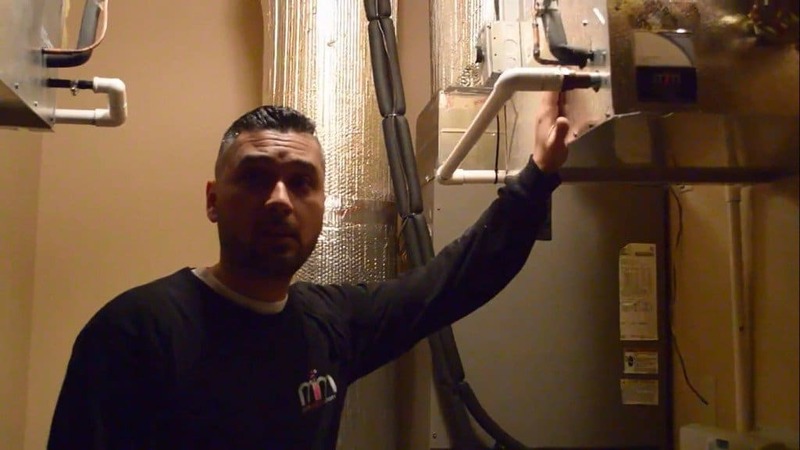 The owner of the wine cellar called M&M Cellar Systems to complain of refrigerant leaking from their cooling system, and a team was promptly sent to investigate and solve the problem accordingly. M&M Cellar Systems HVAC team inspects a wine cellar cooling unit with refrigerant leak. M&M Cellar Systems recently received a call from a wine cellar owner who had problems with a leaking refrigeration unit. 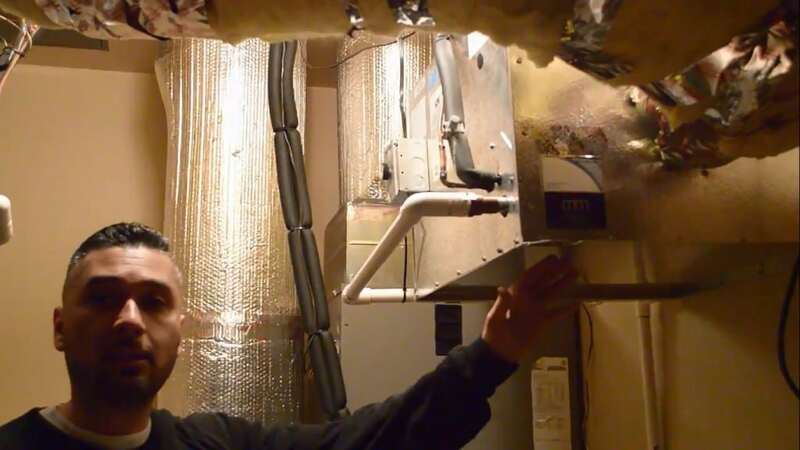 When an HVAC team was sent to check the problem, they found that the unit was still cooling the room adequately, but it wouldn’t continue to do so if the leak was not promptly repaired. The team injected a UV detectable dye into the refrigeration unit and allowed it to course through the system. After about a month, they came back to check where the dye was exiting, and thus identify the exact location of the leak. The leak was found inside the cooling unit, and therefore the entire refrigeration system had to be disassembled for the repair to commence. The leak was located inside the refrigeration unit, and the cooling experts repaired it using a stop leak. In this case in Orange County, the leak found in the refrigeration unit was not the typical leak you’d find in pipes and drainages. It was a porous type of leak, which is common in wine cellar cooling equipment because of the amount of humidity that these units operate in. With this type of leak, the refrigerant was seeping through multiple locations around the copper of the evaporator coil. To fix this problem, there are two possible solutions: replace the evaporator coil or add a stop leak. For this case, the HVAC team added a stop leak. Stop leaks come in cans and are available in most hardware stores in California. Stop leak is a substance that works to seal porous leaks, but it is very important to make sure that the product is set up for the right tonnage. If the leak is set up disproportionately to the capacity of the wine cooling equipment, it can clog up the entire system and further damage it. The team of experts from M&M Cellars made sure that the can was appropriate for the wine cooling system used. Freon was added to the condensing unit, and then they added the stop leak afterwards. Then, they were able to restore the refrigeration system back online and running properly. 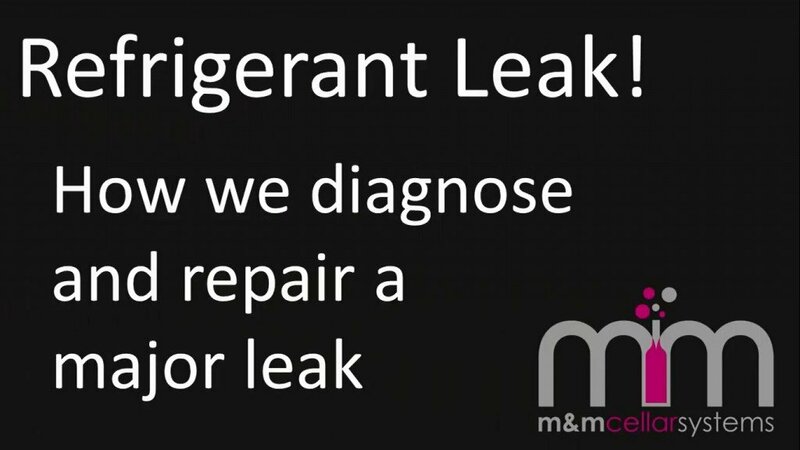 How Effective is the Stop Leak in Repairing Porous Refrigerant Leaks? M&M Cellar Systems manufactures quality wine cellar refrigeration systems. We also provide maintenance and repair services for clients in Orange County and Los Angeles. When repairing porous leaks using a stop leak, there is a 50% chance that the problem will be fixed and a 50% chance that it won’t. It takes about a month before you can evaluate if the stop leak to determine if it has solved the issue. efrigeration system can have an extended life of up to 5 to 10 years. If a month after adding the stop leak to the condensing unit, the Freon level is still low, the client must have the system’s evaporator coil replaced, their only option at that point to maintain proper function of their wine cellar. We at M&M Cellar Systems are a leading wine storage cooling equipment manufacturer in California. We also offer maintenance and repair services for all kinds of wine cellar cooling units in Orange County and Los Angeles. For more information about our products and services, send us an email today at ExpertService@WineCellarCoolingLosAngeles.com!